Let me start off by saying that I have never set foot in Dubai, but since it’s Winter in Cape Town at the moment, I’ve been dreaming of rad things I wish I could be doing. One of my recent day dreams about this magnificent city I’ve heard so much about, was all the adrenaline pumping and extreme sport type vibes I’d get up to if I was to stumble across super cheap flights to Dubai. So you know what they say about the power of attraction, here is my way of putting it out to the universe that I REALLY want to tick off these bucket list items. This is seriously the FIRST thing I’d do in Dubai!! 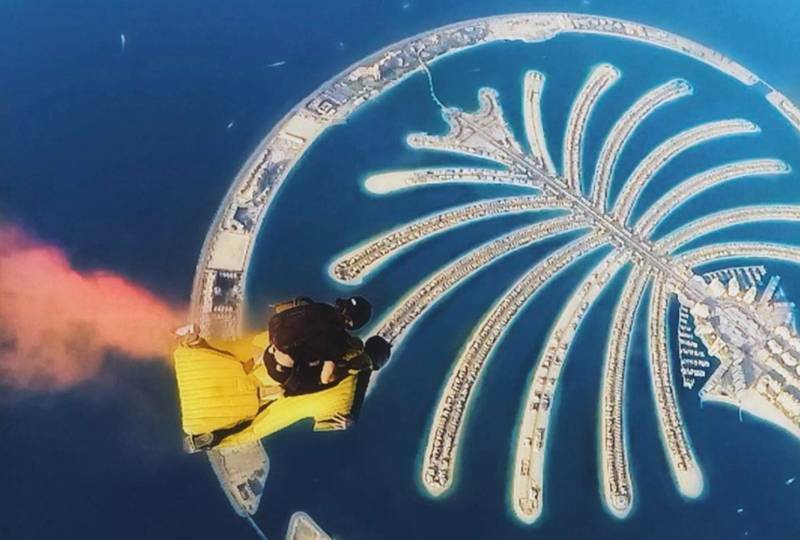 I’ve been Sky Diving in Cape Town, but ever since I watched Jay Alvarez doing crazy skydiving vibes above Dubai, I’ve always wanted to do it. Skip to 1:08 in this video and you’ll see exactly what I mean. I’ve been lucky enough to Zip Line in a few places around South Africa between mountains and over waterfalls. What I ‘ve never done though, is ride on the World’s Longest Zipline which can be found in Dubai. This looks like such a rush and I’d probably do it more than once to get a proper fix. Check this video below and you’ll see what I mean! At least there is a pool below you JUST in case something happens to the line haha. Just a couple of weeks ago I made saw one of these crazy dune buggy’s in Cape Town and I almost IMMEDIATELY googled if they had them in Dubai, because we all know those guys go bigger and better at everything. This is the video I found that got me really excited! This looks like fun yo!! Now let me be clear, I have NEVER base jumped in my life or done a free skydive jump, but those are dreams I’ll eventually make a reality. Until then, I’ll carry on watching this video which I’ve watched more times than I can count on my hands and toes.